Sixgeary is located in the small crofting township of Geary on the remote northeast coast of the Waternish peninsula. 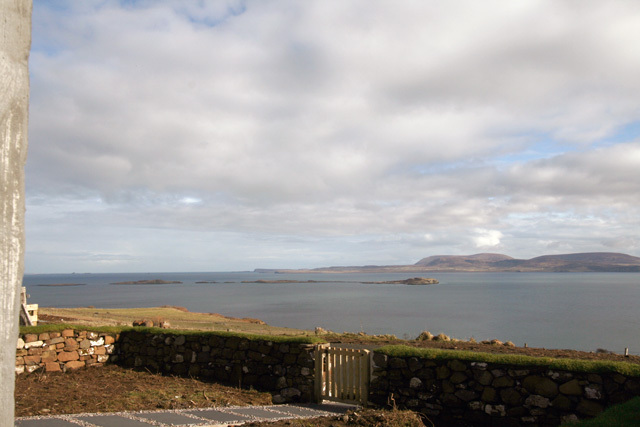 The cottage enjoys uninterrupted panoramic views across Loch Snizort and the Ascrib Islands, and further afield to the Outer Hebrideas. The location makes an ideal base for a true Wilderness Cottage holiday, with quiet country roads and walking from your doorstep. The original property dates back to the early 1900’s, and the island itself has many similar cottages. 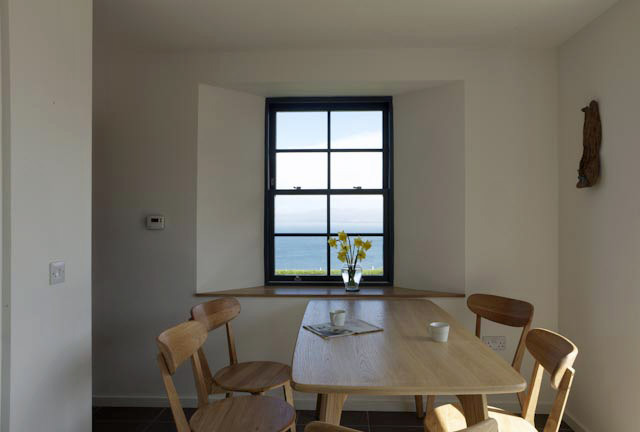 However looking for a more contemporary renovation whilst retaining much of the buildings original character, the owners used the award winning Scottish Architecture practice Dualchas for the renovation. Now completed the final result is quite inspiring, with traditional features like the red roof and windows being retained, however the large gable end window gives an insight to the striking conversion this property has become. The owners have tastefully and stylishly furnished the cottage throughout with Ercol furniture and other contemporary pieces, and quality bed linen and towels are provided. Entering the cottage takes you into the traditional hall, with the sitting room to one side and the kitchen to the other, at the rear the family bathroom, and an oak staircase to the upper level. This level with its beautiful oak floor and tiling in the kitchen has under floor heating throughout and all the rooms benefit from sea views across Loch Snizort. 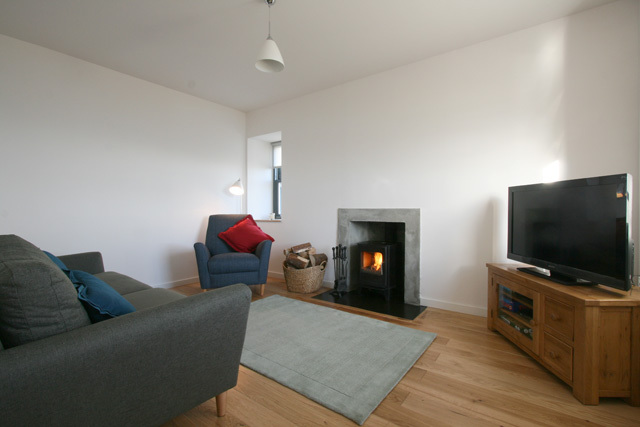 The sitting room with its comfortable seating also benefits from a wood burner, and a flat screen TV with Freesat is provided. 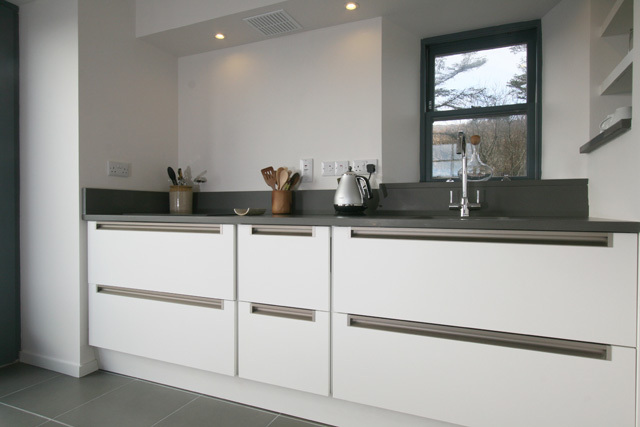 The kitchen oozes quality with beautiful kitchen units and stainless steel appliances, and an Ercol dining table and chairs, ideally placed to enjoy the views to the loch. At the gable end the unique floor to ceiling window provides access to a small area of decking at the side and the garden. 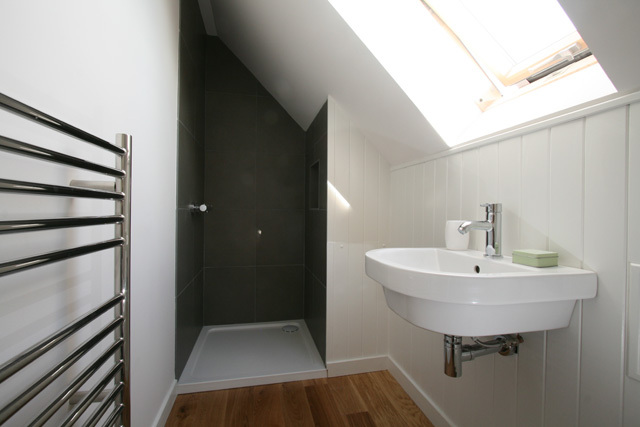 The bathroom with its contemporary fitments completes the accommodation on this level. From the hall the oak staircase takes you to the upper level with two bedrooms, the master with a double bed, and a twin, this level also has a shower room. 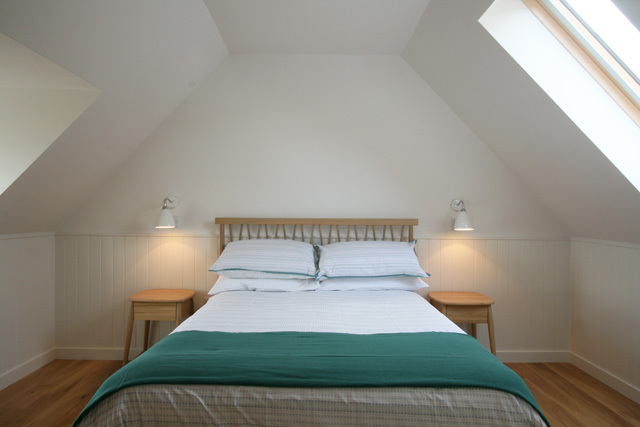 Both the bedrooms have been furnished with contemporary pieces, and the master a striking Ercol bed. Again oak flooring has been used throughout, and if required additional heating is provided by radiators. 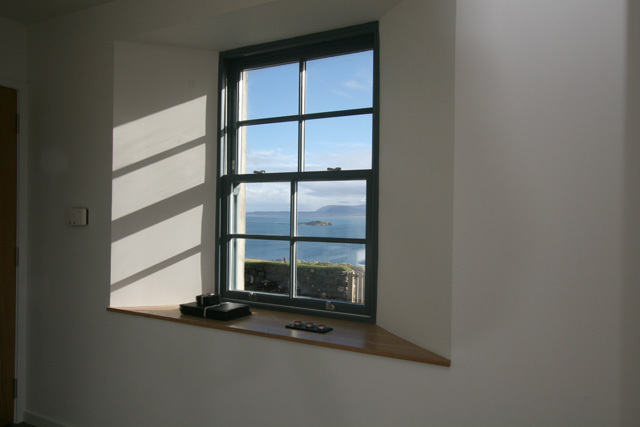 This level is airy and light with Velux windows to the rear and traditional dormers to the front, which again enjoy sea views. Outside the cottage has an enclosed garden to the front, a small decked area to the side, and to the rear an area of gravelled garden. A storage shed is available for the use of guests which is ideal for mountain bikes or other outdoor gear, and off road parking is available for two cars. The owner has a wood store at the property and an initial supply will be provided, guests are though free to help themselves to any additional logs that they may require for a small donation. The Waternish Peninsula itself has much to offer for the visitor, the village of Stein is home to the Stein Inn, and the Loch Bay Seafood Restaurant and both come highly recommended. From the village boat trips are available with Divers Eye, and the peninsula is home to a diverse range of attractions including Halistra Pottery, art galleries, and Skyskyns the only tannery in Scotland. Further afield Dunvegan is only a twenty minute drive away and is home to Dunvegan Castle, the oldest inhabited Castle in Scotland, and the Ancient seat of the clan MacLeod. This north west corner of the island has various places of interest including the coral beaches, and Neist Point, which is well worth a visit for its dramatic cliffs and breathtaking views of the Western Isles. Sitting room with comfortable seating, wood burner, Freesat TV, Roku & Netflix, Blu-Ray DVD player, Digital radio with bluetooth. Kitchen, electric hob and oven, microwave, fridge/freezer, washer/dryer, dishwasher, dining table and seating for four, and all the usual kitchen equipment, access to decked area. 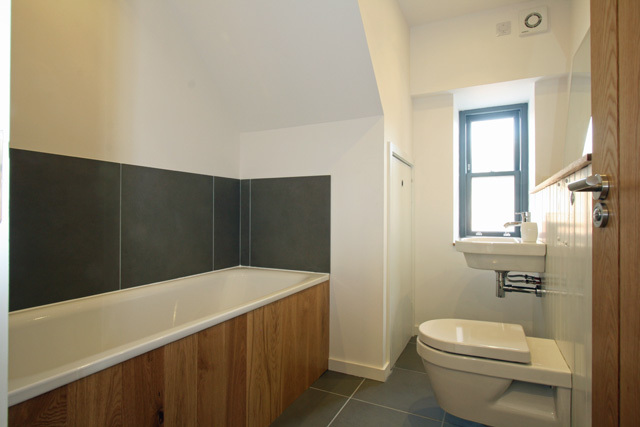 Bathroom with bath, hand shower, wc, whb, heated towel rail. Shower room with shower, wc, whb, heated towel rail. Underfloor heating on ground floor, radiators on upper level. Initial wood for the wood burner, extra available on a donation basis. Cot (only suitable for children up to 12 months) and highchair. We have been advised that mobile phone reception is available, however this is dependent on the network, the popular network of Vodaphone does offer coverage in this area. Traditional property tastefully renovated and stylishly presented. Wow, what a beautiful place to spend some time on the Isle of Skye! We had a fantastic weeks break at Sixgeary, the cottage is finished internally to a high standard with all the facilities you require. It was spotlessly clean, comfortable and warm, we enjoyed cosy evenings in front of the log burner, sitting outside stargazing at night and had some great weather whilst we were there. Fresh eggs and marmalade available from Fiona at the end of the road contributed to some great breakfasts!! There is no doubt the island is busier than when we were last there but Sixgeary is certainly a place where you can relax and escape from your normal routine!! We will definitely return!! A delightful cottage with stunning views. Very well equipped. A real hideaway in a beautiful and remote part of Skye. Thoroughly recommended. 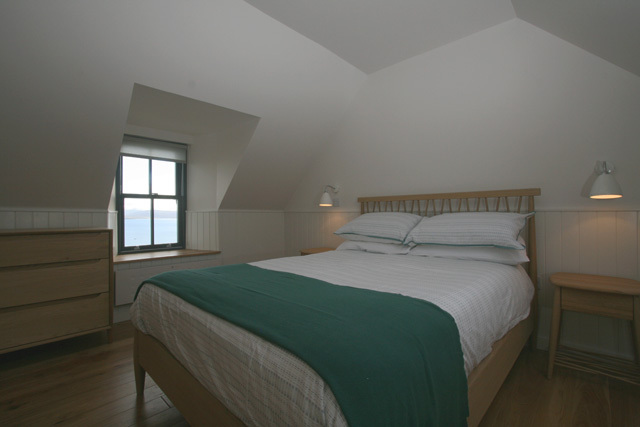 Beautiful cosy cottage, well equipment, lovely and clean, with stunning views. Highly recommended. It was a joy to stay at Sixgeary. 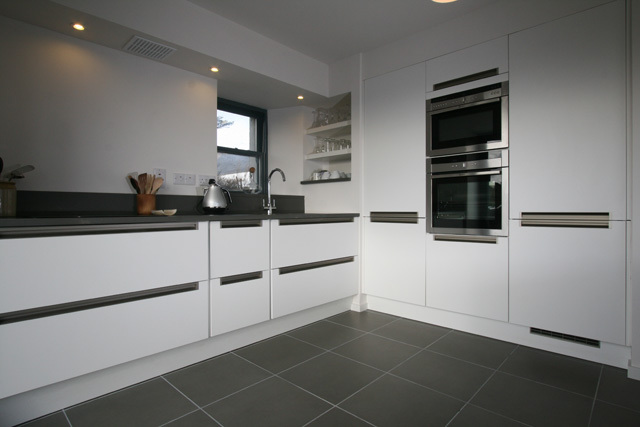 The design and layout was perfect; It was immaculately maintained, extremely well equipped and in a great position. The wifi was very good and a bonus was being able to watch Netflix. Fiona, the Housekeeper made us very welcome. Geary is a small community with no facilities but we didn't have any problems using Sixgeary as a base to explore Northern Skye. 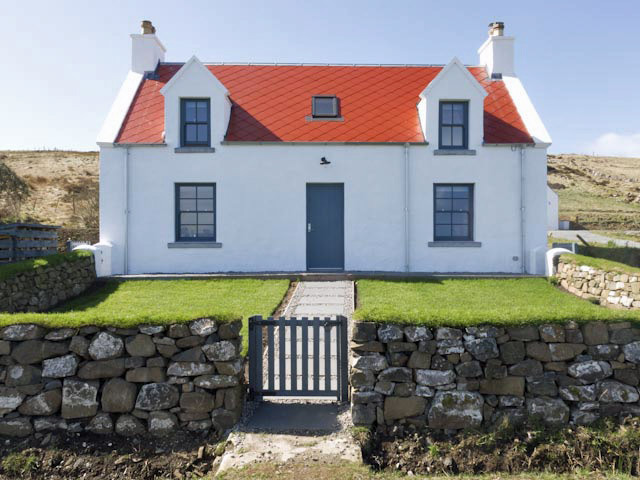 We have used Wilderness Cottages on several occasions to stay in different parts of Skye and have been very happy with each of the cottages in which we've stayed and service provided by the Company. SixGeary was perfect for our requirements. Extremely clean and well presented in a wonderfully tranquil location. The cottage is set back from a road that is ultimately a dead-end; therefore traffic is limited. We were lucky enough to witness some amazing autumnal sunrises facilitated by some un-seasonally fantastic weather and a superb vantage point. Highly recommended and would not hesitate in returning. Delightful and extremely well appointed cottage. Immaculate throughout. Geary is well off the beaten track so be prepared for that, but this is no way a negative, as that is exactly why we went to Geary. Fantastic sunrises over Uig and a young Eagle was making his claim to the territory outside Sixgeary cottage, so we saw "him/her" most days. Absolutely lover our week there and we were blessed in October with sun every day, so much so, I got sunburned !!! Would highly recommend this cottage and we will return. We had a wonderful time in Sixgeary. Very relaxing. We, a family of Four, really enjoyed our stay and the house is great. 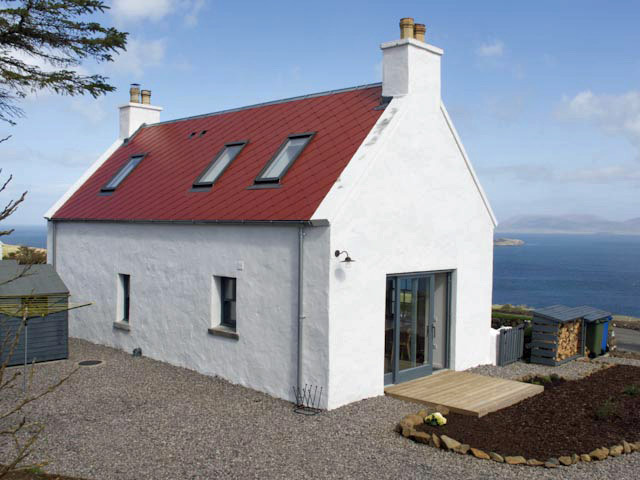 A superb cottage that is in a great location if you would like to experience the peace and solitude that Skye offers. Cottage is really well equipped and has everything needed. Enjoyed our stay in Geary. House was modern and well equipped. Great views across to Uig .....which was amazing on sunny days - yes, we did have them!!! Well thought out facilities and can't wait to return!!! We very much enjoyed our stay at Sixgeary. We chose Skye for our honeymoon, as we wanted to visit somewhere relaxing and far away from our usual busy lives. Our stay at Sixgeary helped achieve this, due to its location looking out over Loch Snizort. The views across the water towards the Trotterrnish peninsula and the Outer Hebrides are amazing, and the loudest noise is the wind and the sound of the nearby grazing sheep! 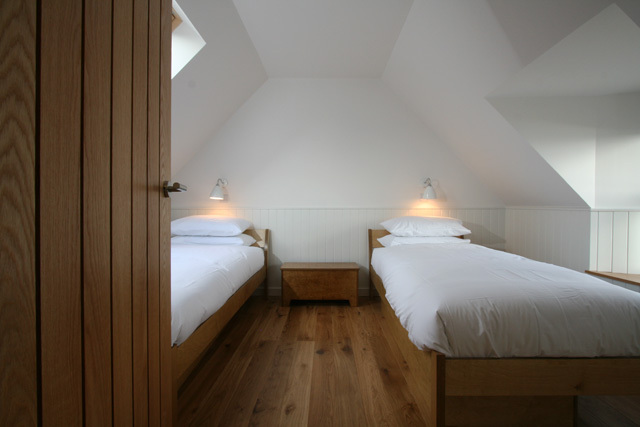 The cottage itself is decorated and fitted out to an extremely high standard, with all the comforts you would want (i.e. wood burning stove, underfloor heating etc). Given it was our honeymoon, we were left a bottle of champagne, some chocolates and biscuits and local eggs, which was a lovely touch. We would definitely choose to stay at Sixgeary if/when we go back to Skye. Our stay at Sixgeary was more than we could have wished for. 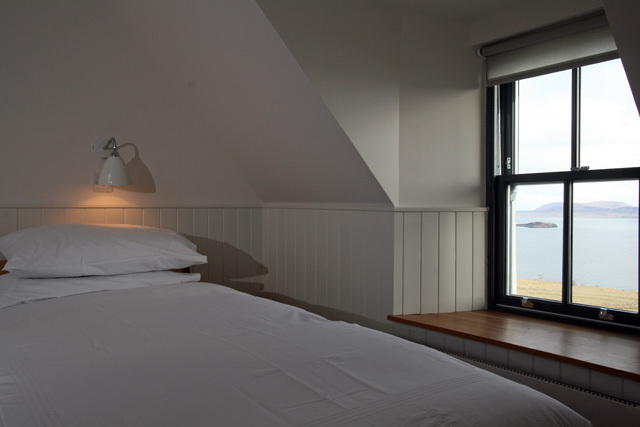 A super, modern croft cottage with views over the water, it provided the perfect base to explore the island. We appreciated the warm welcome from Fiona and Richard, and the lovely hamper of goodies. If you're feeling the need to properly getaway, slow down a little and reconnect with loved ones and nature, you'd be hard pushed to find anywhere better. What a fabulous property! We couldn't have wished for any more - apart from having another week's stay here! Everything was spotlessly clean on arrival and we had everything we could possibly need. The view was spectacular, even on a rainy day. Plenty to see and do nearby, but remote enough to escape from everything. 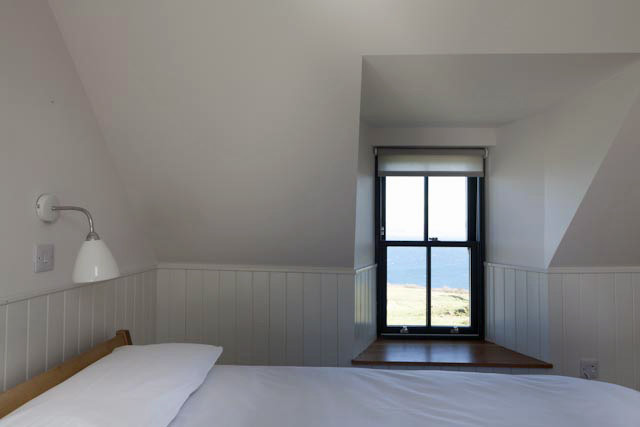 We spotted Sixgeary in the Guardian's review of 'cool cottages' and booked it on impulse for the whole of May. It's in a tiny hamlet, strung out along a coastal lane; grazing sheep and cliffs in front and bracken slopes behind. The place oozes quality; Neff induction hob and ovens in the kitchen (come here if you like to cook), proper hotel standard mattresses and bedlinen, even binoculars for when you sit out on the decking. Exceptionally well thought out and executed. We absolutely loved it.